The Tamarack Resort Village Plaza, courtesy Tamarack Resort. 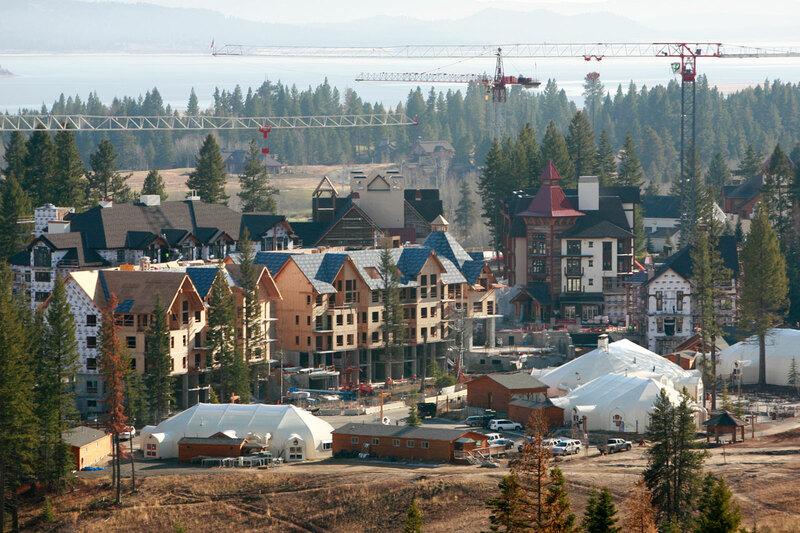 New owners are getting to work improving the long-stalled development progress at Tamarack Resort. The Village Plaza project which has been frozen in time since construction abruptly stopped in 2009 will finally see work resume. “We’re focused on improving the guest experience from the moment they arrive at the Village through their last run of the day,” Tamarack Resort President Jon Reveal said in a prepared statement. A release from the resort says they plan to resume work on the plaza starting this spring. Retail, restaurant and guest services set to open in time for the 2019/2020 ski season. Installation of a new high-speed, detachable quad chairlift will also take place this summer. It will replace the Wildwood Express lift which stopped running in 2009. Crews removed it in 2012 on the order of Bank of America. Tamarack says the lift restoration will open up skiing to more than 200 acres. The Idaho Land Board made completion of the Village Plaza and re-installation of the chairlift by 2024 conditions of the lease transfer to Tamarack’s new owner. Kyle Mowitz, principal of Imperium Blue which purchased the resort, teased today’s announcements in an interview with BoiseDev last fall. “It will certainly be busy around the mountain this spring,” Reveal said. After 2011 disappearance, Tamarack developer resurfaces in the U.S.